The sweetest bouquet, which is sure to bring Spring time to any season. Fresh and bright with a mixture of our premium quality Colombian roses for longevity, paired with fresh blooms and foliage to complement. 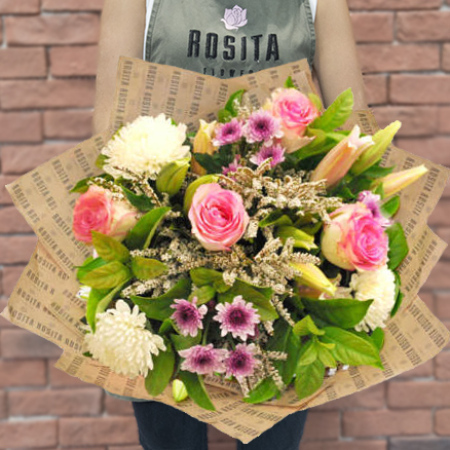 The Delightful Standard makes for the perfect surprise bunch, and the Delightful Large remains the most popular bouquet for Birthdays and special `Thank You` gestures.